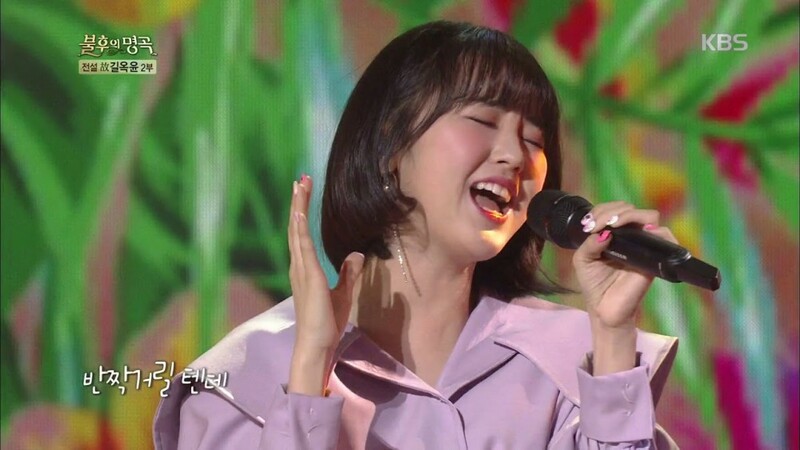 'The Unit' girl group Uni.T brought their lovely presence to the April 7 installment of 'Immortal Song'. For part 2 of the special dedicated to composer Gil Ok Yoon, Uni.T covered Kwon Sung Hee's "If I Go to Nasung". The audience loved the girl group's cheery, lovable rendition on stage, and "If I Go to Nasung" was transformed into an energetic musical.